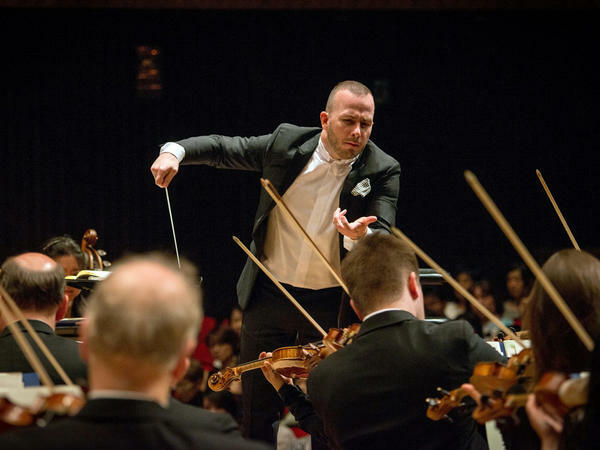 Yannick Nézet-Séguin leads the Philadelphia Orchestra, one of two leading American orchestras offering no music composed by women in the upcoming season. Jennifer Higdon is one of the only female composers presenting this season. The Chicago Symphony Orchestra will be presenting some 54 composers throughout its 2018-19 season. Want to guess how many of those composers are women? The number is zero. Same goes for the Philadelphia Orchestra. "Obviously zero is a very damning number," says Jeremy Rothman, vice president of artistic planning for the Philadelphia Orchestra. "In this one year, we did have that particular oversight, which we are rectifying." To be fair, Philadelphia has programmed women composers in the past (so has Chicago), including works by Jennifer Higdon. She's lucky; her music gets played a lot. This year she has three concertos premiering, including her Concerto for Low Brass, which was heard in Philadelphia in February. Higdon is a 55-year-old Pulitzer and Grammy winner and a Philadelphia resident whose music is accessible to both orchestras and audiences. Higdon's most popular work is blue cathedral and it's on tap next season for the Cleveland Orchestra. But out of 41 composers the symphony will present, Higdon's is the only one by a woman. Success has given Higdon some perspective. While orchestras play her music, she says they seem deaf to hundreds of other women composers. "The way of thinking in orchestras is so built on an old tradition," she says. "They just assume that there are certain pieces they need to program, certain composers that have been done time and time again, and they just don't think about programming women." And when they do program women, it tends to be the ones who are already successful, like Higdon, or Julia Wolfe, who won a Pulitzer in 2015 for her oratorio Anthracite Fields. The New York Philharmonic will play the world premiere of a new work by Wolfe in January. But, out of 49 composers, Wolfe is joined by only one other woman in the upcoming season. It's a ratio that doesn't sit well with Higdon. "Heck, you know what? Half of humanity is made up of women," she says. "So why is it we only see one to two percent of the programming of women?" One answer to Higdon's question comes from Jesse Rosen, president and CEO of the League of American Orchestras. "If you go back in time, this was not a viable career for a woman to become a composer," Rosen explains. "And so, you have a canon that, by definition, does not have a lot of women composers in it." And so, you end up with tons of Mozart and Beethoven. Another problem, Rosen adds, is that orchestras have to please a lot of constituents: audiences, board members, marketing departments and donors. Then there are the conductors and artistic directors — most of them men. They're the ones who choose the music. But the bottom line for orchestras is money. "They rely, to a significant degree, on their box office and their subscribers. And you've got very thin financial margins you're trying to manage. So I think it's part of life in the arts," Rosen says. The real question for composers, though, is how to break into the exclusive group whose music gets performed? Rothman says this question is equally relevant for young composers, composers of color and women. "We have to be giving composers the right tools to compose successful works --being able to workshop their pieces," Rothman notes. "Simply commissioning pieces and performing them once is not going to be the solution." And for orchestras to simply check off the female composer box once or twice a year isn't going to cut it either, according to Rosen. "If you don't have a consciousness that says, 'We value diversity in all its manifestations,' the default is going to be you're going to end up with a lot more white men," Rosen says. Among the top American orchestras programming more than just one or two women next season are the Boston Symphony Orchestra and the Los Angeles Philharmonic. But they still come up short. Each is presenting just six women out of a total of 45. One composer on both of these rosters is Kaija Saariaho, a Finnish native who gets played more in Europe than she does in the U.S. Some might caution that crunching numbers for a single season doesn't provide a large enough picture. But Higdon knows the numbers have been lousy for years. It's up to us ticket holders, she says, to ask for something better. "If you want to hear something by a woman, say something," Higdon insists. "I think the scene has to change. I say give it a try. There's a lot of fantastic music out there, why miss out on it?" The Women's March and the #MeToo movement have helped raise the volume of women's voices across the country. One place where women still struggle to be heard is in America's symphony halls. NPR's Tom Huizenga looked at which composers the top U.S. orchestras are performing in the upcoming season and found some surprises. TOM HUIZENGA, BYLINE: The Chicago Symphony Orchestra will be presenting some 54 composers throughout its 2018-2019 season. Want to guess how many of those composers are women? Right - zero. Same number goes for the Philadelphia Orchestra. JEREMY ROTHMAN: Obviously zero is a very damning number. HUIZENGA: That's Jeremy Rothman, vice president of artistic planning for the Philadelphia Orchestra. ROTHMAN: In this one year we did have that particular oversight, which we are rectifying. HUIZENGA: To be fair, Philadelphia has programmed women composers in the past. 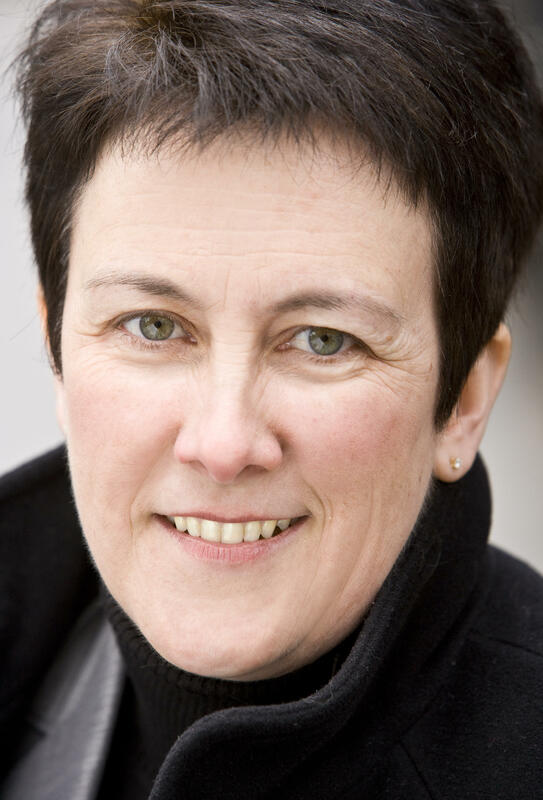 JENNIFER HIGDON: I'm Jennifer Higdon, and I'm a composer. HUIZENGA: Higdon is lucky. Her music gets played a lot. HIGDON: This year alone I have three concertos premiering. HUIZENGA: She's a 55-year-old Pulitzer and Grammy winner, a Philadelphia resident whose music is accessible to both orchestras and audiences. Higdon's most popular work is "Blue Cathedral," and it will be the only work by a woman played this coming season by another one of America's top symphonies, the Cleveland Orchestra. HUIZENGA: Hidgon's success has given her some perspective. While orchestras play her music, she says they seem to be deaf to hundreds of other women composers. HIGDON: The way of thinking in orchestras is so built on an old tradition that they just assume that there are certain pieces they need to program or certain composers that have been done time and time again. And they just don't think about programming women. HUIZENGA: And when they do program women, it tends to be the ones who are already successful like Higdon or Julia Wolfe, who won a Pulitzer in 2015 for her oratorio "Anthracite Fields." CHOIR OF TRINITY WALL STREET: (Singing) Bake a cake. Drill a hole. Go to the gym. Heat your house. HUIZENGA: The New York Philharmonic is presenting a new work by Julia Wolfe next season. But out of 49 composers, there are only two women on the upcoming schedule. HIGDON: Heck, you know what? Half of humanity's made up of women, so why is it that orchestras - we only see 1 to 2 percent of the programming of women? HUIZENGA: Jesse Rosen has one answer to Higdon's question. He's the president and CEO of the League of American Orchestras. JESSE ROSEN: If you go back in time, this was not a viable career for a woman to become a composer. And so you have a canon that by definition does not have a lot of women composers in it. HUIZENGA: So you tend to get a lot of Mozart and Beethoven. HUIZENGA: Rosen says another problem is that orchestras have to please a lot of constituents - audiences, board members, marketing departments, donors. And then there's the will of the conductors and artistic directors, most of them men. They're the ones who choose the music. The bottom line for orchestras, Rosen says, is money. ROSEN: They rely to a significant degree on their box office and their subscribers. And you've got very thin financial margins that you're trying to manage. So I think it's part of life in the arts. HUIZENGA: The real question for composers, though, is how to break into the club, that exclusive group whose music gets performed. The question is the same for young composers, composers of color and women, says Philadelphia's Jeremy Rothman. ROTHMAN: We have to be giving composers the right tools to compose successful works, being able to workshop their pieces. Simply commissioning pieces and performing them once is not going to be the solution. HUIZENGA: And for orchestras to check off the woman composer box once or twice a year isn't going to cut it either, says the Orchestra League's Jesse Rosen. ROSEN: If you don't have a consciousness that says, you know, we value diversity in all its manifestations, then the default is going to be you're going to end up with a lot more white men. HUIZENGA: Among the top American orchestras programming more than one or two women next season are the Boston Symphony Orchestra and the Los Angeles Philharmonic. But they still come up pretty short. Each is presenting just six women out of a total of 45. One composer on both their rosters is Kaija Saariaho, who gets played more in Europe than she does here. HUIZENGA: Some might caution against crunching numbers for a single season, that it doesn't provide a large enough picture. But Jennifer Higdon knows the numbers have been lousy for years. It's up to us ticket holders, she says, to ask for something better. HIGDON: The fact is I think the scene has to change. I say give it a try. There's a lot of fantastic music going on out there. Why miss out on it? HUIZENGA: Tom Huizenga, NPR News. (SOUNDBITE OF PERFORMANCE OF LEONARD SLATKIN'S "FANFARE FOR THE UNCOMMON WOMAN, NO. 1") Transcript provided by NPR, Copyright NPR.